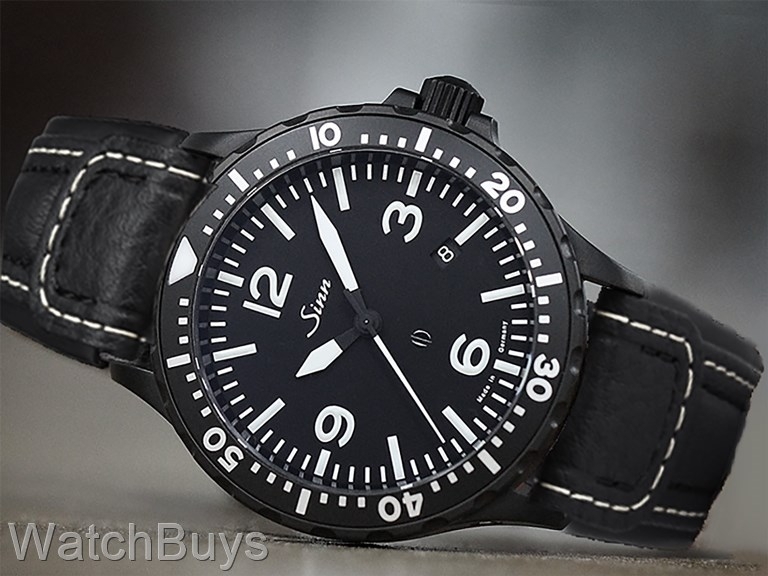 To create this watch, Sinn built on the extremely popular design of the Sinn 857 UTC but removed the UTC complication - the result is a brand new watch called the Sinn 857 (Non UTC) Black on strap. The result is a clear, easy to read dial which resembles the now retired Sinn 657 Black but in a larger size (43 mm) which is fully Tegimented. Sapphire crystal with luminous hands, hour markers and the 12. Watch is water resistant to 20 ATM. Watch is fitted with a black Sinn calf leather strap and tang buckle. 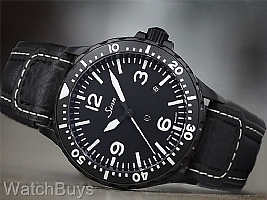 To see the new Sinn 857 (Non UTC) without the black case please click here. Verified Owner Comments: The Sinn 857 is everything they say it is. I'm so impressed with German quality, that I am now a fan of German watches. Hope to buy another very soon.